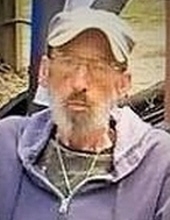 ALTO PASS - Steven Eugene Trexler, 67, of Hemphill, Texas, formally of Alto Pass, passed away Thursday, March 14, 2019 at his home in the Six Mile Community. Steven was born in Anna, Illinois on June 30, 1951 to Carl Eugene Trexler and Bonnie Oneta Mae Gibson. He was a retired technician in the drug and alcohol addictions field. He enjoyed playing his guitar and singing at church and he loved riding horses. His grandchildren were his pride and joy and he enjoyed fishing and hunting with his children. As a hobby, he made knives, ink pens, and walking canes (most of which he gave away). Going out to eat with his friends was another of his most loved things to do. Those left behind to cherish his memory are his wife of 47 years, Peggy Trexler of Hemphill, Texas; his son, Travis Trexler and wife, JaNelle, of Hemphill, Texas; daughter, Stephenie Witzman and husband, Jason, of Murphysboro, Illinois; sisters, Vicky Clark and Patty Sprous; brother, Jamie Trexler and wife, Beverly; in-laws, Rev. Gordon Parrish and wife, Debbie, of North Pole, Alaska; Tad and Lori Parrish of Cobden, Illinois, Sheila and Rodney Dame of Herrin, Illinois and Jeanie Shelnutt of Hemphill, Texas; uncle, Dewey Gibson; aunts, Sharon Schaefer and Pat Bryant; friend of 50 years, Doc Lovell of Sikeston, Missouri; and five grandchildren, Archelle Trexler, Brandon Davis, Samuel, Tabitha, and Georgia Witzman. He was preceded in death by his parents, Carl and Bonnie Trexler; brother, David Trexler; in-laws, Archille and Bonnie Parrish; and best friend of 50 years, Roger Moss. Funeral services will be held at 1:00 PM, Tuesday, March 19, 2019 at Alto Pass Pentecostal Church in Alto Pass. Burial will follow in Alto Pass Cemetery. Visitation will be 11 AM until the time of service on Tuesday at the church. Meredith Funeral Home in Carbondale assisted the family with arrangements. The family requests that in lieu of flowers, memorials be made to the family to help with expenses. To send flowers or a remembrance gift to the family of Steven Eugene Trexler, please visit our Tribute Store. "Email Address" would like to share the life celebration of Steven Eugene Trexler. Click on the "link" to go to share a favorite memory or leave a condolence message for the family.